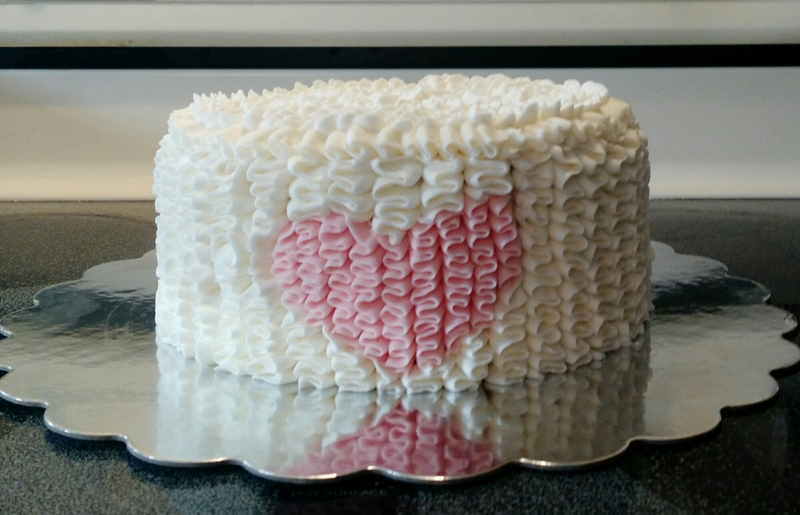 An 8″ strawberry cake iced with vanilla buttercream. The cake is an anniversary/birthday cake. A 9*13 peanut butter cake iced with vanilla buttercream. 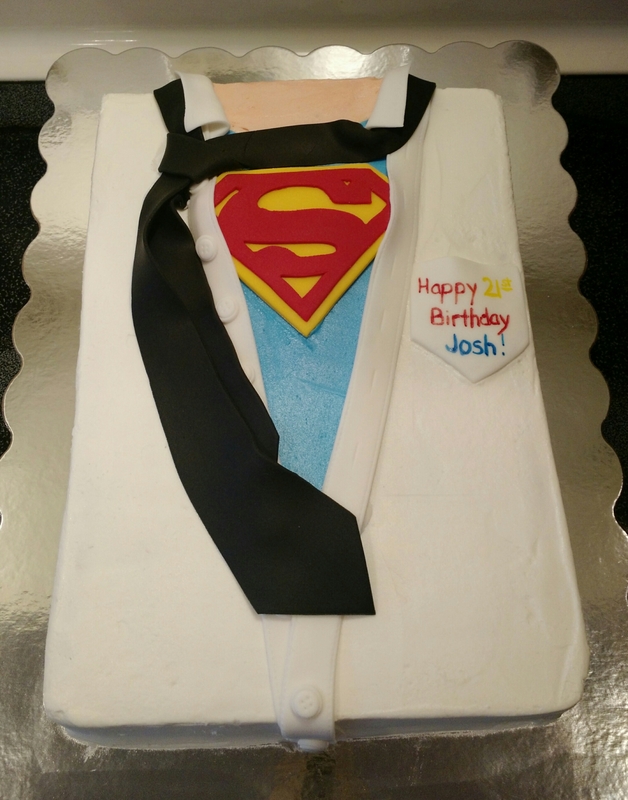 All decorations (collar, pocket, emblem, buttons and tie) are handmade from fondant. 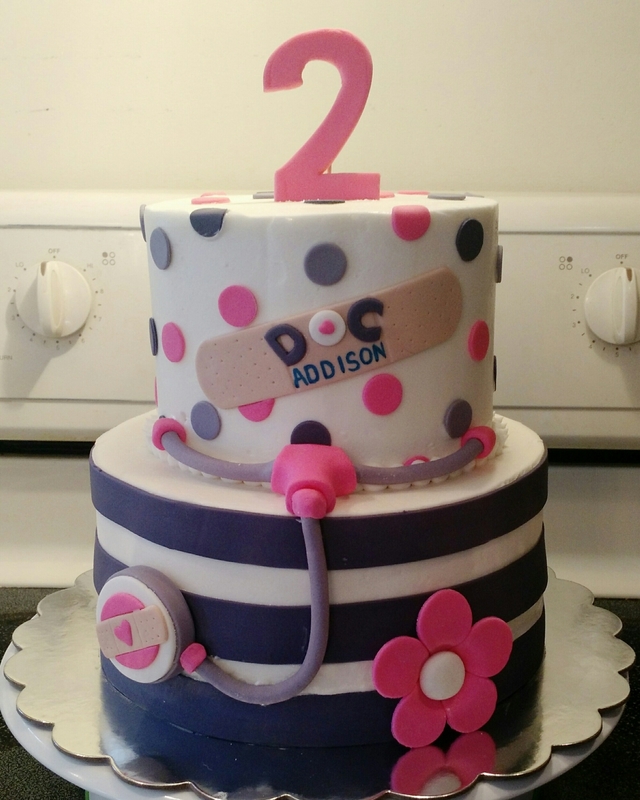 An 8″ vanilla cake with a sugar cookie middle, iced with vanilla buttercream. A 6″ chocolate cake with a chocolate chip cookie middle, filled with chocolate buttercream and iced with vanilla buttercream. All decorations are hand from fondant.